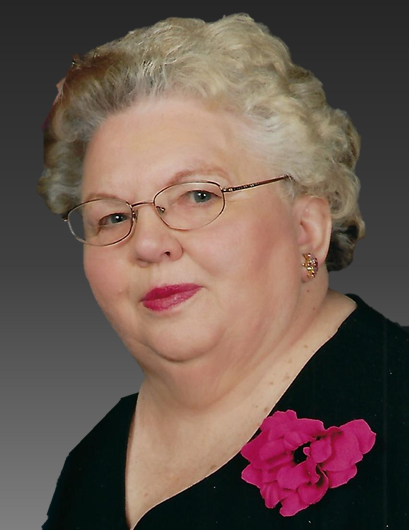 Obituary for Nancy L. (Kreger) Brewer | Knight-Confer Funeral Home, Inc.
Nancy L. Brewer, 80, of Mosquito Valley, passed away, Thursday, Nov. 15, 2018, at her home. Surviving is her husband and high school sweetheart, Douglas L. "Doug" Brewer, with whom she would have celebrated 60 years of marriage with on Nov. 27. Born July 22, 1938, in Williamsport, she was a daughter of the late Max and Martha (Ardry) Kreger. Nancy was a 1956 graduate of South Williamsport High School. After graduation she was employed at Hurr’s Dairy as a bookkeeper. Nancy and her husband Doug were the owners and operators of Duboistown Car Wash and Truck Accessories. They also were owners of 11 rental properties. She was a lifetime member of St. Lawrence Catholic Church, South Williamsport, where she enjoyed and faithfully attended mass. Nancy was an excellent wife, mother and grandmother. She was active in her children’s lives and enjoyed attending every school or sporting event. She loved everyone she met and will be greatly missed by all. Surviving in addition to her husband are her four sons, Michael D. Brewer (Wendy), of Williamsport, Mark D. Brewer (Mary), of Williamsport, Dennis M. Brewer (Tanna), of Jersey Shore, and Brad A. Brewer (Danielle), of Williamsport; six grandchildren; three great-grandchildren with one on the way; a brother, James Kreger, of Williamsport, three sisters, Edna Huffman (Dale), of Williamsport, Patricia Myers (Richard), of Red Lion, and Linda McEwen, of Williamsport; a sister-in-law, Evie Kreger, of Loyalsock; and many nieces and nephews. In addition to her parents she was preceded in death by a brother, William Kreger, and a brother-in-law, Hayes McEwen. A Mass of Christian Burial will be held 10 a.m. Tuesday, Nov. 20 at St. Lawrence Catholic Church, 800 W. Central Ave., South Williamsport. Burial will follow in Green Lawn Memorial Park, Montgomery. The family will receive friends from 2 to 4 p.m. and 6 to 8 p.m. Monday, Nov. 19 at Knight-Confer Funeral Home, 1914 Memorial Ave., Williamsport. In lieu of flowers memorial contributions may be made in Nancy’s name to St. Lawrence Catholic Church, 326 Washington Blvd. Williamsport, PA 17701.